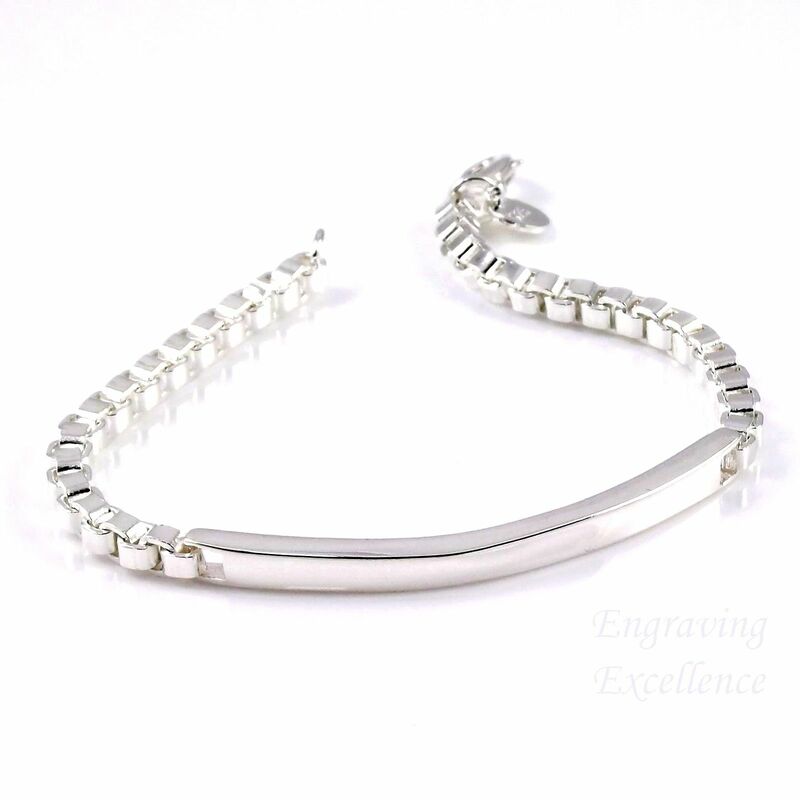 Silver plated stainless steel bar bracelet with link chain. This delicate bracelet is designed to hang loosely from the wrist. When personalised you have the perfect gift for that special lady for any occasion such as a birthday, anniversary or as a gift for a bridesmaid. due to space for engraving , we recommend just a name or date on this item. On this item we engrave up to 1 line of 18 characters each (including spaces). Please check your spelling carefully, as we do engrave exactly what you send to us.